Orange and gold and a hint of purple decorate the Stroudsmoor Country Inn for this fall wedding. 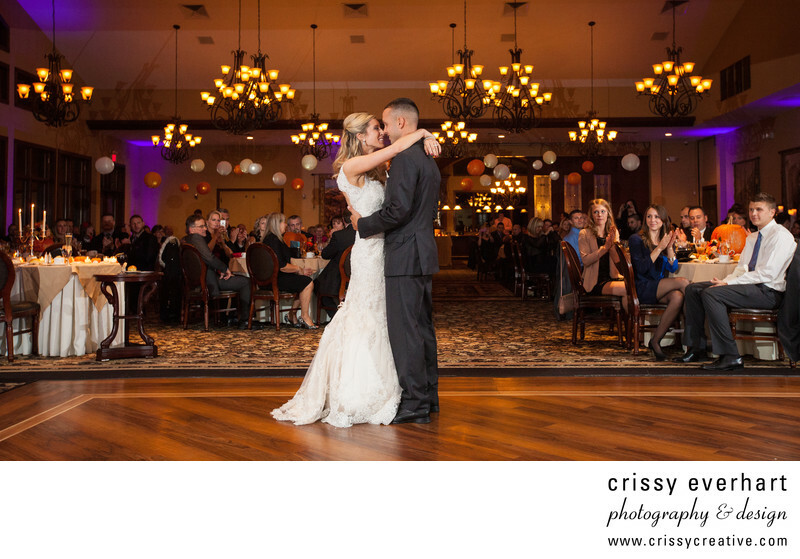 The bride and groom share a first dance, the groom has his arms around the bride's waist, and she rests her arms around his neck. They touch noses for a second as they look at each other during the dance, moments before their 5 month old daughter is brought in to dance with them!